As basic as that question seems to be, several online sellers, irrespective of their business’ size, have failed horribly in the online retail space just because they were not aware of the importance of having a secure and reliable ecommerce platform. There are multiple reasons why you need an ecommerce platform for your ecommerce business but the most basic one is that your online store needs a strong backend panel to manage your store, sales and operations. You can read more on this topic in our article Expert Advice on How to Choose the Best Ecommerce Platform. Today, we will talk about OpenCart, an open-source and free ecommerce platform for online merchants and e-retailers. It was developed on PHP and runs on an SQL database and other HTML components. The software has a proven record of being one of the most user-friendly and easily navigable platform for ecommerce businesses running their operations on a global scale. Its professional-looking storefront interface is appealing and absolutely customizable as per the nature of business. OpenCart also offers a mobile admin platform to run your business operations at the touch of a fingertip. The software features plenty of customizable features for easy online store management. The best part about OpenCart software is the availability of several professionally-written extensions to customize the online store management program according to individual business needs. Given the vast presence of the ecommerce business across the globe, enthusiastic firms have come up with multiple innovative OpenCart extensions that help you manage OpenCart-built ecommerce platform in a very efficient manner. We’ve handpicked 12 of the best OpenCart extensions that you need to install right away. The extension facilitates the users to integrate their OpenCart software with EBANX Payment Gateway to make seamless payments from across the globe. EBANX, much-known to Latin American online buyers and retailers, offers the user to choose from three major -payment methods to pay for goods – Boleto Bancário, Domestic Bank Transfers (TEF) and Domestic Credit Cards. This extension is used to improve page load speed of the ecommerce platforms developed using the OpenCart software. While it basically contributes to a lot of SEO (search engine ranking, user experience, site performance and much more), the extension also comes with multiple built-in features for extensive customization at a CSS level. A highly innovative extension for OpenCart ecommerce platforms, Product2PDF OpenCart Extension helps the user to download a PDF copy of the selected products in the form of a catalog. The PDF can be emailed, exported, downloaded and customized as per user needs and greatly contributes to encourage word-of-mouth and referral marketing for your ecommerce products. OpenCart Amazon Connector extension, as the name suggest, integrates the opencart software with the Amazon store, thus enabling the seller account holders to import their sales and operations data (products, orders, and customers) from Amazon to Opencart. The extension is highly-intuitive and provides a real-time update of all the synchronized products, replicating their price and quantity from the Amazon store to OpenCart store. OpenCart Auto Shipping Extension eliminates the estimated shipping and taxes and applies a flat shipping rate on the cart, thus simplifying the checkout process on OpenCart ecommerce platforms. Compatible with OpenCart 1.5x and 2.0x, Auto Shipping Extension is highly recommended for local ecommerce businesses that opt for flat shipping rates. Smart Abandoned Cart Extension facilitates ecommerce sellers to identify abandoned carts and notify the users about the abandoned products in their cart at regular intervals via email. The extension uses a smart algorithm to record the users’ email addresses to send a limited number of follow up emails and popup notifications to grab user attention. As the name clearly suggests, Facebook Login extension for OpenCart allows the users to signup or login into OpenCart ecommerce software using their Facebook credentials. The extension supports multi-store login, and is one of the most successful OpenCart extensions till date. With easy configuration, user-friendly features, and advanced layout positioning features, Facebook Login extension can be used on Account Login page, Create Account page and the Checkout pages of OpenCart ecommerce software. SimonFilters extension for OpenCart software enables online buyers to apply advanced filtering features in their search to specify preferred search criteria, thus saving time taken to find a particular product. Fully-customizable, the extension is very responsive and enables quick background refresh to apply filters without data loss. Postcode Checker, as the name suggests, is an OpenCart software extension that is used to check delivery availability based on the user ZIP code/post code. It monitors delivery, shipping and payment restrictions based on user location postcode and alerts the user about the same, thus saving time and effort. Amazon MarketPlace Web Service (MWS) Extension facilitates the real-time updating of quantities of products based on the SKU data from Amazon global stores. 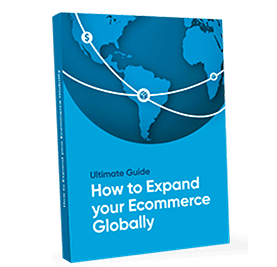 It is helpful for ecommerce business owners who are also selling on Amazon stores to keep their product quantities up-to-date for seamless user experience. Compare Products extension facilitates the user to compare products in a layout format based on their categories. The extension offers multiple relevant and super-helpful features such as removing one or more products from the compare layout, view a detailed comparison of the selected products, compare multi-store products and much more. OpenCart ecommerce software platforms can use an interactive Live Chat or Live Support Software extension known as Zopim. It enables online buyers to communicate with support agents. The web-based extension can be installed on multiple web pages of the ecommerce portal. It not only provides a live chat feature but also helps monitor site traffic and deliver great user experiences.